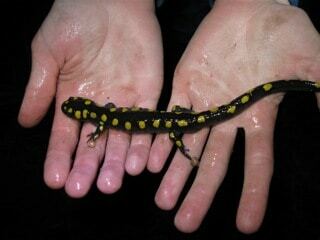 On March 28 at 8:45 PM, I had 2 Blue-spotted Salamanders on Sumcot Drive off Allen’s Road west of Buckhorn. The salamanders were headed north in the direction of a known breeding pond north of Sumcot Drive. 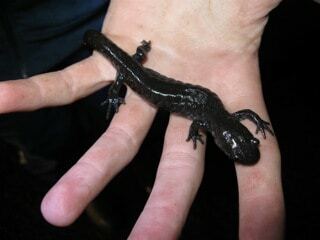 On the evening of April 2, with the warm wet rain, I went searching for salamanders on Birchview Road, north of Lakefield. Unfortunately there was a lot of thick fog and I could only see the road surface in a few areas. However I did find one Spotted Salamander and one Blue-spotted Salamander.